Out of all the cities I visited in Poland, my favorite was by far Gdansk. Gdansk, located in northern Poland right on the Baltic Sea, reminded me of one of the towns I visited last year, Annecy, France. It’s on the smaller side, has an old-time feel, and is pulsing with activities and attractions. Below are my eight favorite attractions, although everything I did in Gdansk was magnificent. 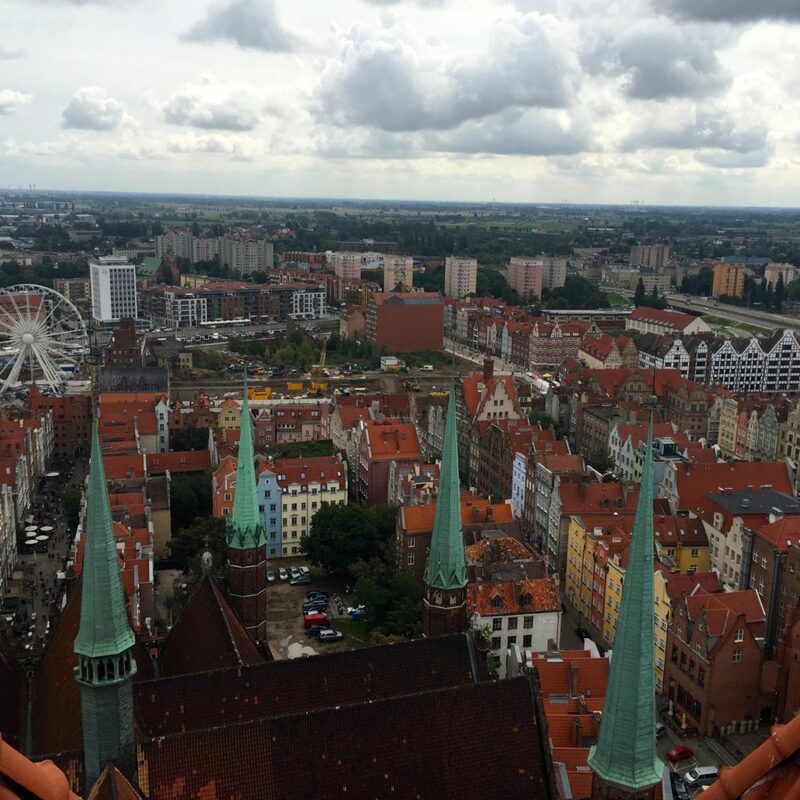 My favorite attraction in all of Gdansk is the Gdansk Panoramic Wheel. Part of the reason Gdansk is my favorite city is because it’s absolutely gorgeous. While other cities in Poland have beautiful Old Town, almost all of Gdansk is styled like Old Town. The Ferris wheel is fantastic for sight-seeing, as when you get to the top you are able to see stunning views of Gdansk. It is right on the Motława River, and for only 25 zloty you can go around this 50 meter wheel three times. For the best views in Gdansk look no further. I happened to be visiting Gdansk at one of the best possible times: during the St. Dominic’s Fair. Starting the last Saturday in July and lasting three weeks, St. Dominic’s Fair is one of the best craft fairs I have ever attended (and I visited an amazing one in Boston this past winter!). The craft fair had almost any handmade craft you could imagine, from amber jewelry to leather goods to antiquities. Although the fair meant there were many more people in Gdansk, it’s still worth visiting during such a hectic time. The fair makes the city feels almost medieval, with merchants setting up shop in front of old buildings, creating a lively atmosphere. It’s an especially great time to visit if you want to buy souvenirs – I have a friend that all but bought out a ceramics stall, buying gifts for every member of her family for the next few holidays. 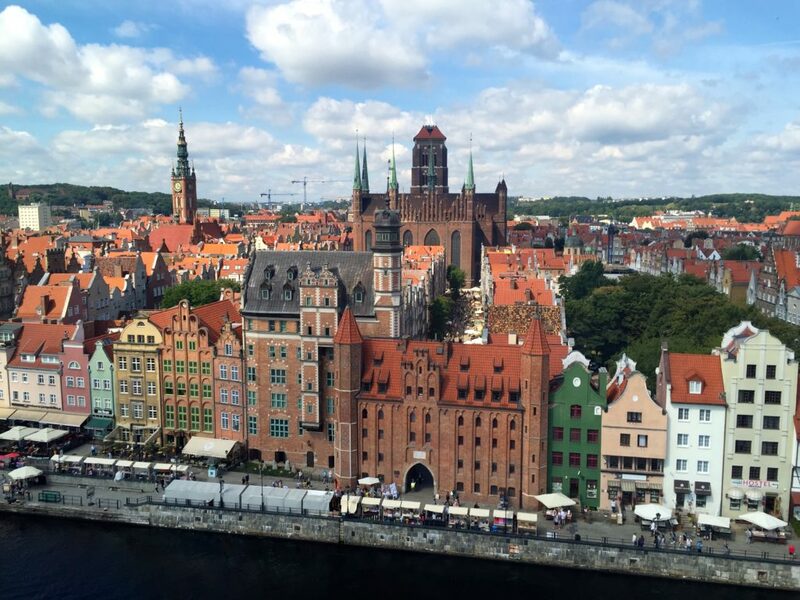 I would love to visit Gdansk while the fair is not in session to compare, but I absolutely loved walking around with friends buying street food and gifts for my loved ones. 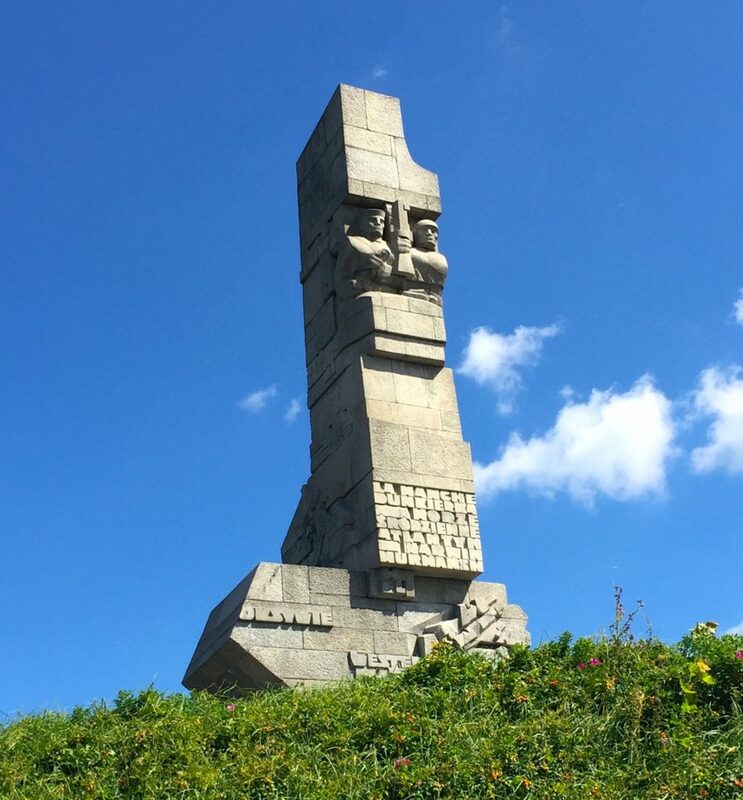 A cool visit for those interested in history is Westerplatte. A boat ride away, Westerplatte is where the first armed resistance in World War II occurred. The tour covers a variety of locations within Westerplatte, showing off a destroyed headquarters building, a monument dedicated to the fallen, and a symbolic cemetery. For a World War II buff or someone spending many days in Gdansk I would recommend the trip to Westerplatte. Read more about my tour here. My favorite thing to do in Gdansk is simple: walking around. Gdansk is fantastic because the city feels small. It’s fun walking down cobblestone roads with small independent shops and squares everywhere you turn. 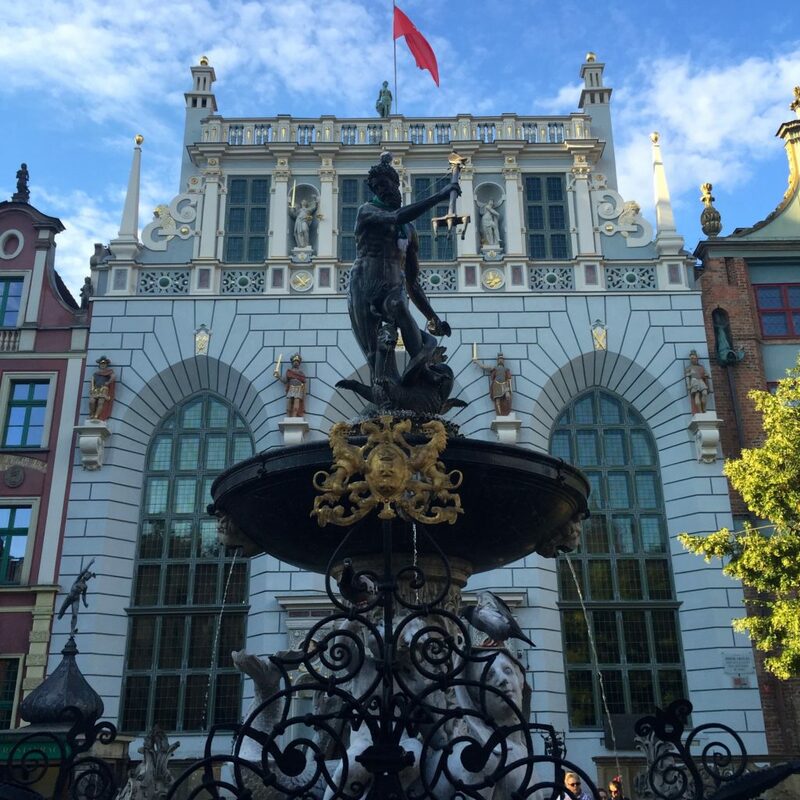 The Royal Way, the most populous street in Gdansk, is where the king would enter when visiting, is gorgeous, and the Długi Targ (Long Market) features the famed Neptune statue. Out of everything in Gdansk walking around, getting lost, and exploring new streets could potentially be the best way to fall in love with the city. St. Mary’s Cathedral is stunning church, featuring an organ that blew me away. Something of note is that, much like the Astrological Clock in Prague, it also has a famous clock that has an attraction at noon. While slightly more interesting than the show in Prague, I still would not recommend setting your schedule around the show – it consists of two rows of saints exiting the clock, the clock chiming, and them going back in the clock. It wasn’t particularly interesting, and had I built it up like I had the Prague Astrological Clock I’m sure I would have been even more disappointed. What is fantastic about St. Mary’s Cathedral is the view. There is a tower with 400 steps you are able to climb. The stairs were not as difficult as I was expecting, in part because while the beginning is extremely narrow, the top half are spread out on the interior of the church itself, which leads to an interesting view inside the church. The view of the city is magnificent. When you reach the top there is a small landing where you can see all of Gdansk, from the Ferris wheel to the shipyard. The view is worth the climb, especially on a nice day. Gdansk is one of the three Tricity cities in northern part of Poland, and one of the other two, Sopot, is worth a day trip for the beach. A short train ride away, Sopot is a cute beach town featuring a lighthouse, a beautiful pier, and a beach that leads right into the Baltic Sea. 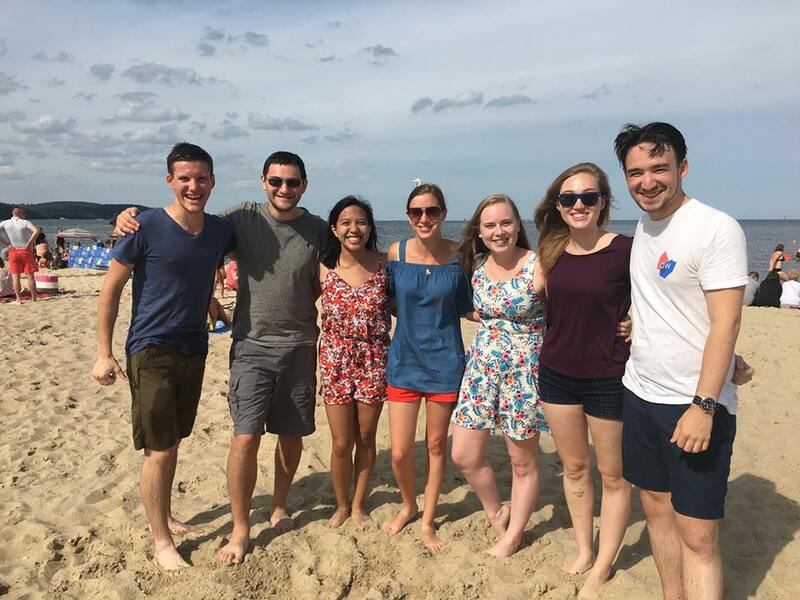 I’m not the biggest fan of beaches, but it’s definitely fun, especially if you are with a group of friends. Be sure to also check out the Crooked House while there, it’s one of the most unusual buildings you’ll ever see. Gdansk is important in history not only for being the location of the first armed resistance in World War II, but also for Solidarity. Solidarity, a Polish trade union that developed into a famous social movement, started in the shipyards of Gdansk. Solidarity is not only important in Polish history, but in world history, thanks to its part in bringing down Communism and the collapse of the Soviet Union. The European Solidarity Center in Gdansk does a fantastic job of displaying information about the Solidarity movement. Although more than just a museum, the museum section of the center takes you through the history of Solidarity, from the issues that led to its origins to the aftereffects of the movement. 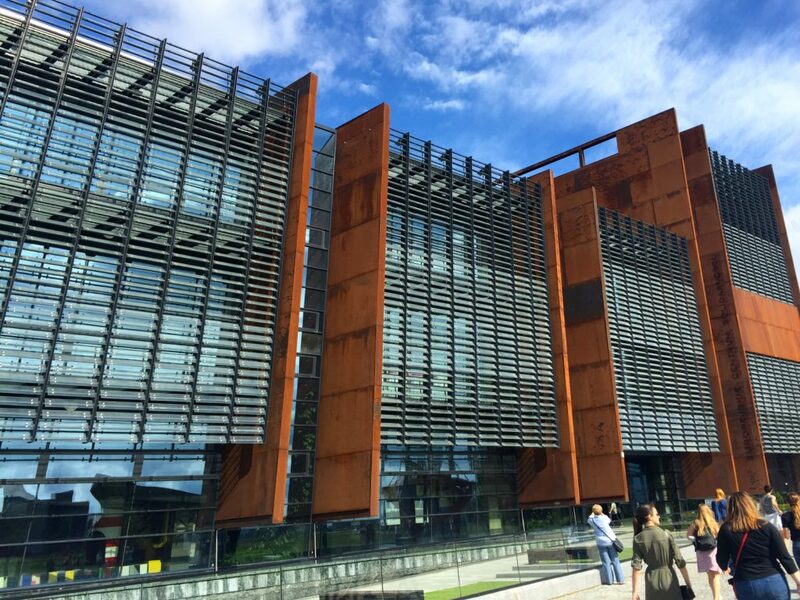 Whether interested in history or not, a visit to the European Solidarity Center is a must. It does a superb job of explaining such an important time in Polish history, a history intrinsically tied into the city of Gdansk. Read more about my tour here. 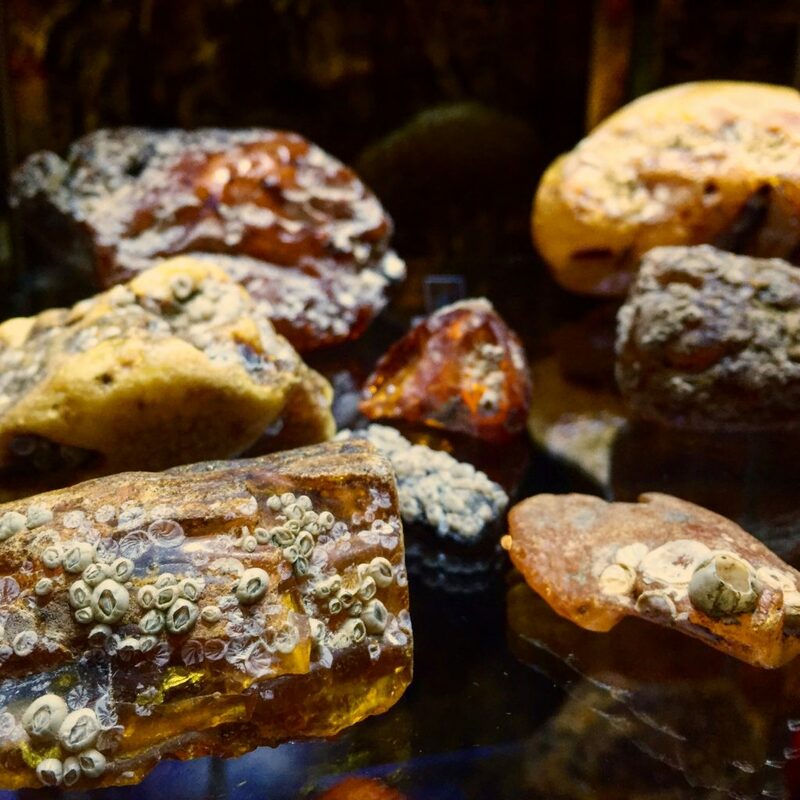 Potentially my favorite museum of every one I saw in Gdansk was one I went to on a whim: The Amber Museum. I had bought my mother an amber necklace for her birthday, so I figured I should learn more about it at the museum one of my tour guides had recommended. I was surprised by how much I enjoyed the museum. What I liked about the Amber Museum was that it wasn’t necessarily the museum design itself that was cool, but rather the content in the museum. I was surprised by how interesting amber is, and how the museum could have multiple exhibits highlighting its different aspects. There was a section on amber in nature, focusing on plant and animal inclusions (there was even a lizard on display! ), on the history of amber within Gdansk and Poland, on the ancient amber trade routes and their importance in history, on its healing aspects, on crafts made from amber, and more. The museum provided a bevy of information about the stone, much more than expected. I would recommend a visit to anyone with a few hours free, because even though I didn’t walk in thinking I was going to be interested, I was completely blown away. Gdansk is my favorite city in Poland. Not only is it absolutely stunning, but there is so much to do. I wish I had more time, as there were more museums and attractions that I unfortunately did not have time to visit. I fully expect to return to Gdansk some day, and would consider it the best Polish city to visit. This entry was posted in Europe, History, Travel and tagged gdansk-attractions, Poland. Bookmark the permalink.